I'm trying to install the ati/amd graphics drivers for the laptops dedicated graphics card, but im having a really hard time. I followed the Ubuntu_Raring_Installation_Guide on a fresh install (packages up to date). The installation seems to go fine. But when I reboot this happens. Note. I followed the Ubuntu_Precise_Installation_Guide on 12.04 LTS 64 and that worked fine testing fglinfo and the gears test all worked well. So then I updated that to 12.10 that worked fine too. I should have gone on to 13.04 with the update but I pushed my luck and went a fresh install of 13.04 and then struck problems again. *Update 1. Installed Xubuntu 12.10 64 and followed Ubuntu_Quantal_Installation_Guide it needed libqtgui4 but the driver works fine. 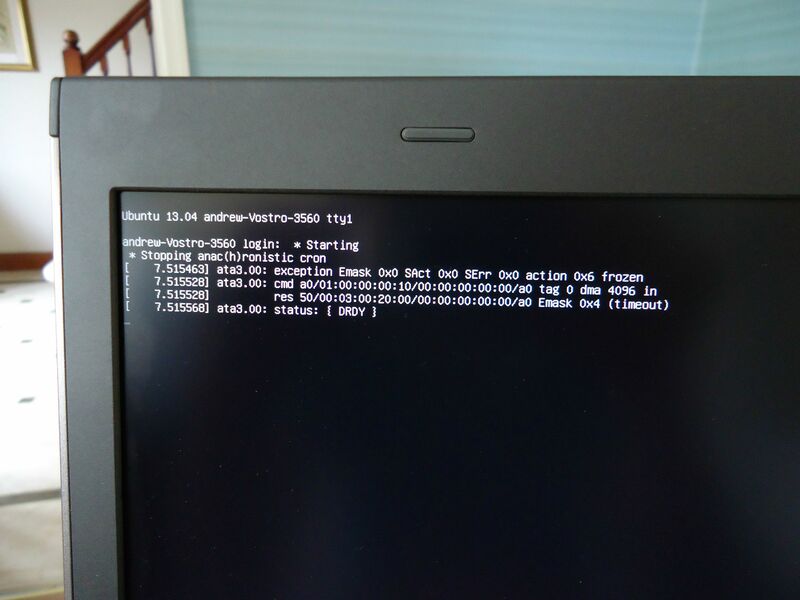 Only seen this error once, after second install I didn't get it just boots saying * startingand nothing else. Is this a bug cause by me? or Ubuntu or AMD? Where do I point the finger? How do I construct a useful bug report for this issue? Post the information you have here (https://answers.launchpad.net/ubuntu/+question/231272) and the Xorg/Xserver logs on the bug report form that can be found here https://launchpad.net/xorg. Include the kernel and Xubuntu version as well as your hardware information (graphics card, processor, etc.). If the Xorg developers need any other information, they will ask. You may also consider reporting the bug to the Xubuntu developers (https://launchpad.net/xubuntu-desktop) if the Xorg developers are not sure about the issue. This link may help you - How do I report a bug?. Not the answer you're looking for? Browse other questions tagged 12.04 13.04 ati graphics dell or ask your own question. Is there a PROPRIETARY driver (NVIDIA or ATI) that actually works with 12.10? How to fix “The system is running in low-graphics mode” error on particular kernel?